With just 25 seconds on the clock, the Carleton Ravens were staring down 105 yards of turf separating them from a shocking upset. As time expired, Jesse Mills launched a hail mary pass from 55-yards out and the football gods answered. Nathaniel Behar scooped the ball into his hands off a deflection of Ottawa Gee-Gees defensive back Randy Williams. From there, he ran uncontested for 10 yards into the endzone and Panda Game history. This year’s Panda Game marked the first time the game was played at Lansdowne since 1998. Carleton disbanded their football program following the 1998 season, and last year’s game was played at Ottawa’s on-campus stadium. Saturday, 12,500 students descended on Ottawa’s brand-new stadium, TD Place. Whereas last year’s game lacked any real energy, fans of both schools hurled “F**k you, Ottawa/Carleton U” chants as they walked down Bank Street and through the front gates prior to kickoff. They kept them going throughout the game. Ottawa’s fans were lined up at the stairwells in the north side stands, ready to storm the field as the final five seconds ticked off. As Behar collapsed at the back of the endzone, the whole stadium went quiet for just a split second as everyone tried decipher what had happen. Then the south side stands cleared. It is the stuff legends are made of, and for Behar it was certainly a legendary day. 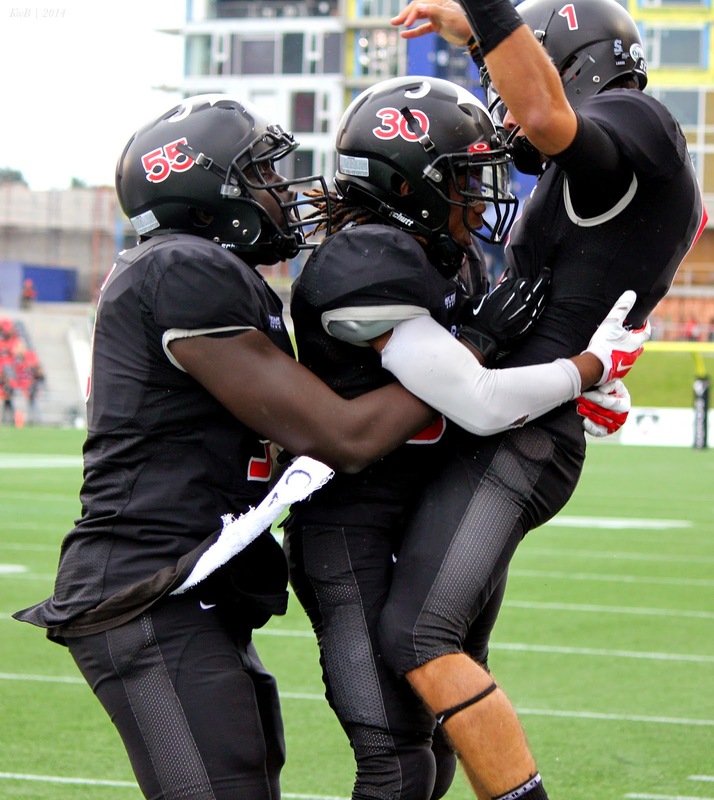 The sophomore wide receiver from London had a whopping 13 receptions totalling 276 yards. In addition to the winning touchdown with no time on the clock, Behar had two others, including an 18-yard reception where he broke through three tackles and leaped across the goal line to reinvigorate his team. For Mills, the pass was the only one he made all game. Starting quarterback Nick Gorgichuk went 23 of 34 for 318 yards with two touchdowns. Speaking to the Ottawa Citizen after the game, Gorgichuk commented on the Ravens’ decision to let Mills launch the ball towards the endzone. The victory comes 20 years following Carleton’s last Panda Game win. While Ottawa still leads the all-time series by a 33-13 record, today’s game will immediately become one of the most legendary in this brutal rivalry. It brought back memories of the old Panda Games. Fans from both schools were lobbing chants across the field throughout the game. As Ravens fans stormed the field following the catch, they instantly went to the north side stands to voice their pleasure, so to speak. Ottawa fans quickly responded with beer cans, water bottles and yes, one half-eaten hot dog. Following the game, fullback Stefano Napolitano expressed his shock and excitement at the conclusion. “I’m shocked right now, I knew what play we were calling, I knew that was the plan, like I said earlier that was like a one per cent chance play. I’m just in shock right now, it’s unbelievable,” he said. Coming off a winless season, Carleton now find themselves at 2-2 on the year. With 500 total yards on offence, the Ravens are proving that they can compete, and that the way they built their program is paying off. Of course, they remain a young team, and their nerves were obvious in this big game. They racked up close to 150 penalty yards and fumbled the ball five times, but were lucky to only lose possession twice. Still, with a .500 record and two winnable games coming up -- Laurier and Toronto --, they aren’t counting out anything. 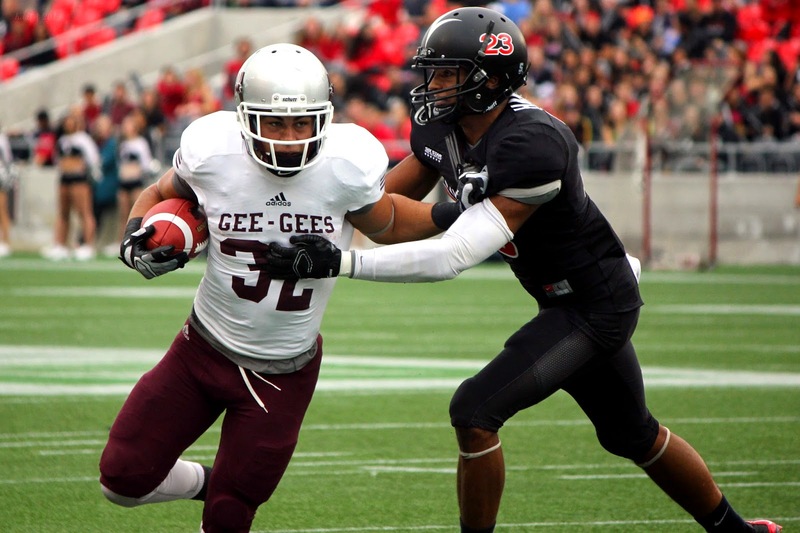 For the Gee-Gees, the loss now marks two straight, following a 42-7 thrashing at home last week against Guelph. Still, they showed flashes of brilliance, especially in their ground attack. They racked up over 300 yards on the ground, and had three different players with 70 or more rushing yards. While the defeat will leave a bitter taste in the mouths of Ottawa’s players, they too can look forward to two bounce-back games, as they will face Toronto (1-3) and Waterloo (0-4). As far as Ottawa sports go, Carleton hold on to bragging rights for the time being. Perhaps Gorgichuk said it best: "I don't think anyone at Carleton is going to forget it any time soon."